One of my favorite blogs is The Emoluments of Mars. It’s the brainchild of “Expat,” who has committed himself to the mind-numbing task of critiquing the conspiratorial pseudo-science behind ideas like the “face” on Mars, glass domes on the moon, and esoteric meanings to NASA space missions (think Richard Hoagland and Mike Bara). Expat’s URL is something of an homage to Hoagland’s book, Dark Mission, detailing the alleged esoteric conspiracies behind what NASA does: dorkmission.blogspot.com. Since I’m neither a scientist nor photo analyst, I depend on the work of people like Expat. 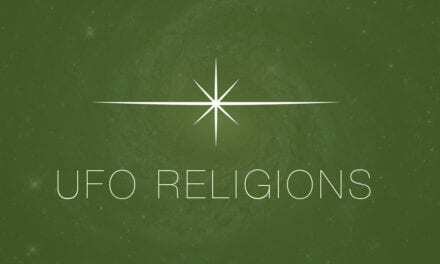 Stuart Robbins’ Exposing PseudoAstronomy blog is another such resource that I’ve mentioned before. A couple months ago Expat emailed me with the wonderful news that I’d made it into Mike Bara’s most recent literary assault on clear thinking, Ancient Aliens and Secret Societies. The email sort of got lost in the shuffle, but I thankfully found it again. Bara’s book hasn’t exactly garnered an overwhelming response (four reviews to date in five months, a several of which are hilariously brutal (“zero stars if Amazon allowed it”; “Google scholarship”; “Friends don’t let friends read Mike Bara”). That last one was good enough to steal for my post title. It says it all. Nevertheless, I thought I’d take a look at what Expat sent. After all, this year I was privileged to be colored as a government informant by Jim Marrs. When I blogged about that honor I pointed out that Marrs’ ludicruous assertion was falsifiable by a simple phone call (he had me working on a “government funded” program dealing with Sumerian lexicography). All he needed to do was call the office for that program to learn that I hadn’t worked on that project. But hey, implying I “work for the government” in my opposition to Sitchin’s nonsensical handling of Sumerian texts (and most everything else) is more fun. Here are excerpts from what Bara wrote on pp. 88-89 of his book. I’ll jump in at MSH. MSH: True; I am a “committed Christian.” I’m also a Christian that makes other Christians nervous for various reasons. I’m guessing Bara never read any of my blogs and their comments. Is debunking Sitchin my life’s work? Hardly. How could I make a living doing that? It would be like trying to convince people to read Bara’s books for a living. Mike seemingly doesn’t know that I’m the guy who posted my income tax returns online back in the day to shut up William Henry when he accused me of making money off Sitchin’s name. I asked William to do the same. (Cue crickets here). And guess what? They’re still up there, Mike! Have a look. Those were the days when I first appeared on Coast to Coast. Readers may remember that Art Bell asked if I’d debate Sitchin on his show … the lowly graduate student against the poobah of paleobabble. I said yes. Sitchin refused. Funny how that happens when you appeal to primary texts. MSH: No, they’re incorrect because they aren’t there. They have no basis in reality. (See above). Prove me wrong, Mike — run the search and find the alien Anunnaki on Nibiru. Let’s have one line of one tablet that says that. (2) Send them to a real Sumerian scholar. 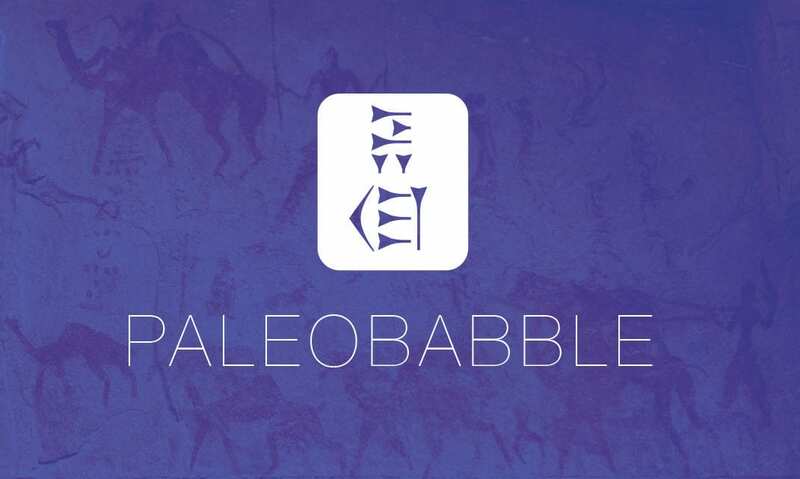 Pick someone from the membership list of The International Association for Assyriology, or one of the staff at these ongoing projects in Sumerian studies: CDLI or Stephen Tinney of the Pennsylvania Sumerian Dictionary Project (PSD; the volume covering Anunnaki is published). I’m sure you and I can agree on who to send Sitchin’s translations to. I’ll publish the results of your efforts on my blog. (1) Yes, people now learn Sumerian from “academic sources” — so did Sitchin learn with non-academic sources? No sources? The 12th Planet was published in the late seventies. There were plenty of (perish the thought) academic sources for learning Sumerian. (And I repeat: I don’t think Sitchin knew Sumerian at all). Bara’s argument here pits academic sources against … what? It puts Sitchin in the position of using inferior sources or no sources. Nice argument, Mike. Stephen Langdon, A Sumerian grammar and chrestomathy (1911) – for years one of the standard learning grammars for Sumerian. But again, what is Bara’s point? That Sitchin didn’t have resources to learn Sumerian? If so, how could we trust his knowledge? If he did have sources, then … what? 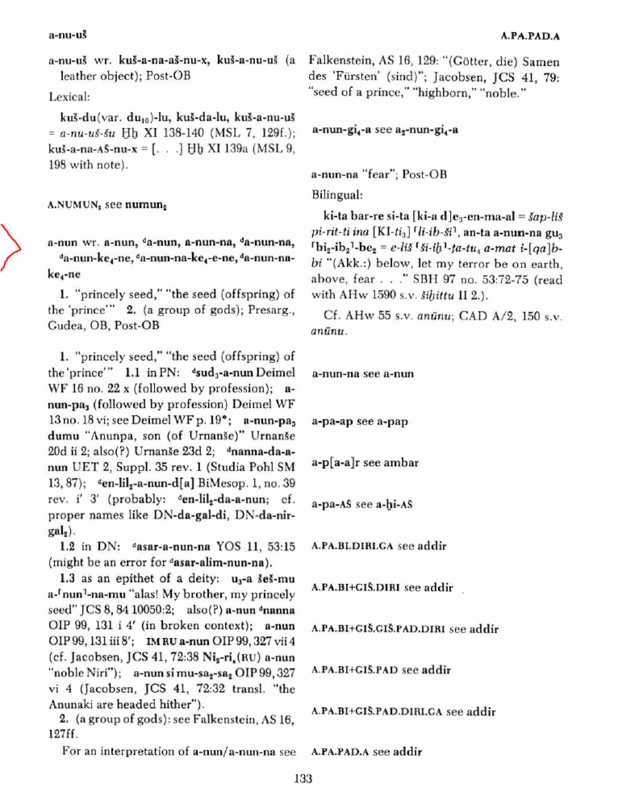 Since it’s not the lexicon that Bara’s source is bashing, the criticism levied by that source don’t apply to the PSD (which, per the scan above, does not agree with Sitchin). 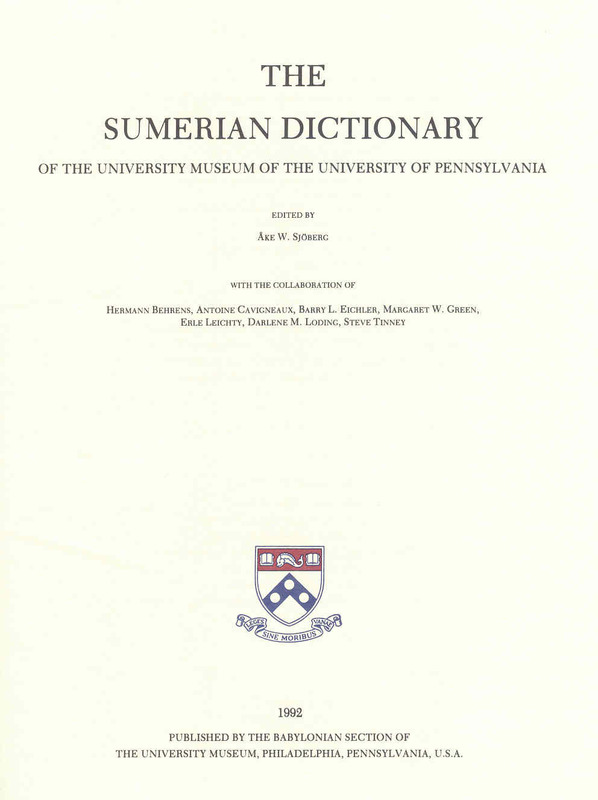 The PSD is a leading lexical project for the entire field of Sumerian. The raw materials for the PSD have lived online for many years (the project was begun in 1974 – before Sitchin published the 12th Planet, by the way). The print publication of this dictionary is an ongoing project. Three volumes have been published to date (the above page comes from vol. 1). But who cares? In fact, the lexical resources that form the basis for current projects like the PSD have been around since the early 1900s. A “Sumerian expert” like Sitchin would have known that. Lexical sources like the multi-volume Materials for the Sumerian Lexicon, begun by Benno Landsberger in the 1930s, served Sumerian students well for many years. MSH: Yes, it does. Do you know why, Mike? Because I’m honest. Bara concludes that since Sitchin and I are both self-taught in Sumerian, Sitchin is just as trustworthy. This is flawed logic. I have a publicly accessible resume that proves I have studied nearly a dozen ancient languages in a formal academic setting. Know why that’s important? One word: accountability. I had to perform in the languages for experts. Sitchin has nothing like that. Where is Sitchin’s resume? Hmmm. I’m betting he had ZERO language work at any institution. In other words, no proof he studied anything. In other words, my resume offers people some basis for concluding that I did indeed study Sumerian, even on my own. The logic goes like this: “Heiser studied nearly a dozen ancient languages. It seems plausible he could have studied one more on his own time.” On what basis can we conclude Sitchin’s claim of self-study is plausible? I see none. The guy couldn’t even wrap his head around simple concepts like subject-verb agreement when it comes to Hebrew elohim (a lot easier than Sumerian). But in Bara-land (see the Emoluments blog), logic and coherence is simply not a pre-requisite. MSH: Where have any of Sitchin’s claims about extraterrestrial Anunnaki or Nibiru been tested or validated, Mike? Let’s have those studies and that data. I’ll post them. Oh, I forgot … First you have to prove those ideas exist in the tablets. But they don’t. Again, how easy would it be to prove me wrong here by simply producing the tablet that has these claims? I can’t make it any easier, Mike. I’m telling you (and everyone else who buys Sitchin’s Anunnaki nonsense) how to falsify my claims. The data simply do not exist. You can’t validate what doesn’t exist. But let’s widen the net … show me where Sitchin’s claims about alien intervention have been validated by any expert under peer review (as opposed to authors writing for Adventures Unlimited Press). MSH: Right. Mine carry no more weight. Except that my interpretations are based on lines in tablets that exist while Sitchin’s don’t. So all I have going for me is a little thing I like to call reality. I’ll take that. And for the record, I’m not a Christian fundamentalist. I know Bara doesn’t really know what that term means in the spectrum of Christian sub-cultures, but it needs pointing out. I spent some time in fundamentalist circles until I was ejected. I lost a job over it. I believe several things that would make fundamentalists denounce me (and they have). 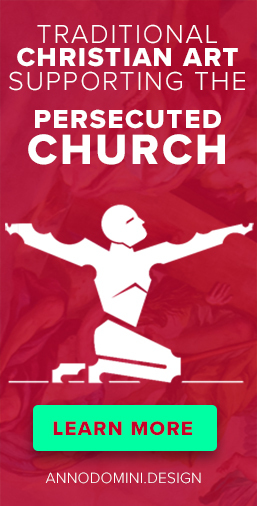 Just read my blog, but get an education first about what the term means in Christian circles. After that, why I’m not in those circles will be pretty clear. 1) I’d rather be called a government informant than a fundamentalist. It’s just more fun. 2) That Sitchin supposedly taught himself Sumerian by using inferior sources or no sources at all. Maybe he channeled it. 3) That Bara likes to hide data from his readers — like the fact that Sitchin’s fundamental claims don’t exist in Sumerian tablets — and that I’ve given the world the breadcrumb trail to learning that is indeed true. 4) That Sitchin is still wrong. And so is his disciple, Mike Bara.